Welcome to a sunny LA, bright and innovative city. Hollywood is one of its most famous areas. It’s not only stars and glamour – there are a lot of fun things to do in Hollywood and it’s nearby. Hollywood life has its pros and cons, but one thing is for sure – you will never be bored here. 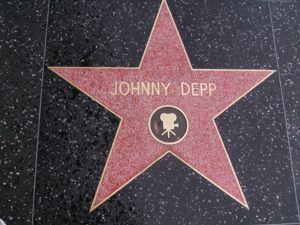 When you are a newcomer to the celebrity city, there are some things to do in Hollywood that can make you feel like a local. L.A. is the city that is always changing – becoming the local in this town is not a hard task. This is the place where trends are alternate on the daily basis. The thing that was in yesterday, it can be the thing of the past by tomorrow. All you need is an ability to follow those changes and adjust to them, and you will blend in no time. 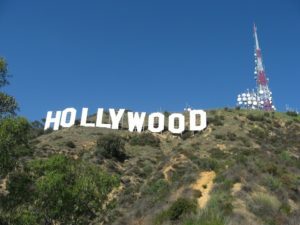 People are friendly – Although Hollywood is considered arrogant and shallow, that can be further from the truth when talking about its residents. People here are used to changes because they are happening on the daily basis. That’s why they are very open to meeting new people and embracing them into a community. A. is a very diverse city – everybody that dreams of the job in the entertaining industry dreams of coming to Hollywood. People from all around the country and world are coming to try their luck and become famous. In Los Angeles, you can meet people of all nationalities, backgrounds and social status, especially if you are moving to Hollywood as aspiring actor. It’s just another reason why newcomers fit in quickly here. It is all about a healthy lifestyle – citizens of the Hollywood are taking a lot of care of their mental and physical health. You may notice that there are many vegan restaurants and stands with freshly squeezed juices all over the neighborhood. Gyms and various sports activities are at every corner. If you want to become the true local after moving to Hollywood, start to change your habits. That way you will easily fit into the Hollywood society, but your health will also feel the benefits. After you move, settle down and unpack your things, it’s time for exploring your new neighborhood. Hollywood has really a lot to offer, and every day here can be fun. Since Hollywood is the world’s capital of the entertainment industry, visiting these attractions should be amongst the first of your “things to do in Hollywood” list. Hollywood walk of fame consists of more than 2.500 stars carved into the sidewalk along the 15 blocks of the Hollywood Boulevard and three blocks of the Vine street. Every star represents a person that has a major achievement in the entertainment industry. Carved in the stars are the names of prominent actors, musicians, directors, teacher groups, fictional characters (like Mickey Mouse, Snupi, etc.) and many others. American astronauts that have landed on the moon also have their names carved into the Hollywood walk of fame. It’s most famous Hollywood attractions that several million people visit every year. First of the things to do in Hollywood should be visiting the famous Walk of Fame. Sunset Boulevard is a legendary attraction in the USA. In its old days, it has represented classic and glamorous Hollywood way of life. It was the iconic set of the most famous American movies. Today, boulevard and especially “Sunset Strip” has become a popular place for the nightlife, with numerous nightclubs, bars. Also, it’s home to some of the best restaurants in Holywood. The biggest movie studio in the world that is also the amusement park. 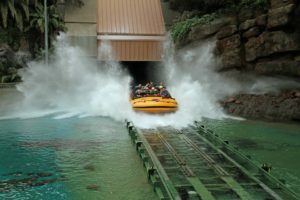 It offers the Universal Studio tour that takes you behind the scenes of the most famous movies and tv shows. This amusement park has many movie-themed attractions and fun rollercoasters for all ages. Children will enjoy it, but the adults will have an amazing time too. This amazing hall is the new headquarter of the Los Angeles Philharmonic. 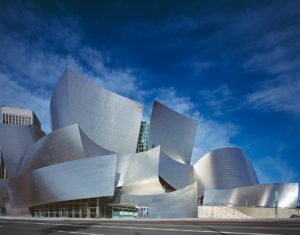 Architect Frank Gehry has designed it to be one of one of the most sophisticated concert halls in the world. The visual and sound experience is breathtaking. Thanks to the generosity of the Lillian Disney and many private donations, the city was gifted with one of the best concert halls in the entire world. The acoustic is incredible, and so is the interior of this majestic hall. Located in the West Hollywood, this is the mandatory stop for every art lover. This museum contains a collection of nearly 130,000 objects. That is making it the largest art museum in the western United States. It hosts a magnificent collection of Contemporary Art. Furthermore, this museum also has an impressive collection of Asian, Latin American, and Islamic art. If you are a fan of the music world and its history, take a walk to The Roxy Theatre. Its founders were the music legends and it is now famous worldwide. The Clash, Billy Idol, Patti Smith, Bob Marley, and many other musicians were performing on its stage. It is still hosting the biggest names of the music scene. When you finish exploring the entertainment and cultural attractions, you should check the outdoors things that you can do in Hollywood. You can hike through the Runyon Canyon – Los Angeles’s most popular hiking trail. It’s 3.5 miles long and has 360 degrees of city view, so it’s attracting a lot of hikers. It’s best suitable for a casual walk with friends. If you are a serious hiker and you are searching for more demanding trails, why won’t you try hiking to the Hollywood sign? It’s a difficult hike, with the six-mile-long trail and the amazing view. Since there’s little shade, you should bring water and sunscreen. Hiking to the Hollywood Sign is difficult, but unforgettable experience. Griffith Park is great for kids and nature lovers of any age. It seems magical with its stone-lined bridges, bubbling stream, and hanging orchids. Its ideal place for a picnic and relaxing in the astonishing nature. If you like the excitement and innovative sports than the Bumper Balls at Lake Hollywood park is something that you have to try. It’s basically people rolling around in giant bubbles and it is very fun and thrilling. Yoga is even more relaxing when you are practicing it outdoor. Maybe bouncing like a human soccer ball is not your cup of tea. If that’s the case, you can try more relaxing activity – the outdoor yoga at Runyon Park. There are classes every day of the week and you can join in any time. It is a great workout that will help you stay fit. Furthermore, it will help you to relax and it’s a great stress reliever.